Over 15 Fijian resorts around the country have been nominated as finalists in the 2016 Hotel Management (HM) Awards. What’s more interesting is that 10 out of the 12 executives nominated in the South Pacific General Manager category, are from Fiji; the other two being from Cook Islands and Vanuatu. The nominations itself speak high volumes about the calibre of people we have been able to attract in our tourism industry and leading in so many areas. The HM Awards programme is designed to recognise the accommodation industry’s finest team, properties, brands and chains across Australia, New Zealand and the South Pacific. The HM Awards are hosted annually by leading industry magazine Hotel Management. This year, the gala presentation dinner is being held at Sydney Town Hall on Friday, September 2. In addition, our Coral Coast Hotels have been nominated in the Services to the Community Category for the Sigatoka Hospital upgrades they have carried out. Also nominated in this category from Fiji are InterContinental Fiji Golf Resort & Spa and Wyndham Resort Denarau Island for Service to the Community. Outrigger Fiji Beach Resort is also a finalist in this category for their Conua School projects and 20km walk for kids. It was indeed a major milestone achievement for Fiji National Provident Fund (FNPF)-owned InterContinental Fiji Golf Resort & Spa to be nominated as finalists in three categories for the 2016 HM Awards. The three categories in which the Resort has been nominated are Fijian Property, Service to the Community and South Pacific General Manager. The nominations showcase the contributions InterContinental Fiji have to the community. This is via the Resorts InterContinental Meetings, Incentive, Conference & Events (MICE) group, Community Care, IHG Shelter In the Storm and Environmental responsibilities. The category ‘Fijian Property’ showcases the Resort staff commitment to providing Fijian hospitality and excellent service for a luxury 5 star resort experience in Fiji. 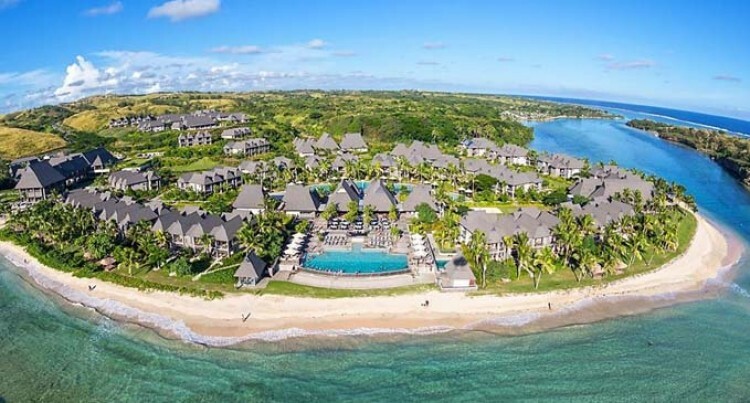 Andrew Davidson holds a portfolio as General Manager at InterContinental Fiji Golf Resort & Spa, and Area General Manager responsible for the Holiday Inn Suva and Holiday Inn Resorts Vanuatu. Mr Davidson provides a strong strategic leadership background with a passion for hotel management which will provide continued support in bringing about the best Resort experiences in Fiji. Mr Davidson said: “As a resort, we are delighted to be nominated in multiple categories by the HM Awards. “These nominations showcase the resort’s contribution to the community, Fiji’s economic development and tourism.